I do love a gin and tonic. As well as the delightfully refreshing flavour, it’s the associations that make me happy. There’s that first g&t on the plane which makes you truly feel like you’ve started your holiday; alfresco sundowners with friends at home with g&ts lovingly made and those five-star g&ts that you really shouldn’t be drinking in the poshest of hotels (they tend to hurt the purse somewhat). Sunny days and holidays bring on that g&t craving! We’re having a lovely London summer, so when I was sent this beautiful bottle of Beefeater 24 gin, I couldn’t wait to pour my first g&t. And then I thought…it’s time to be a bit more imaginative. So here’s a couple of stunning gin cocktails for you to try. I’ve got some others up my sleeve, too, so watch this space. 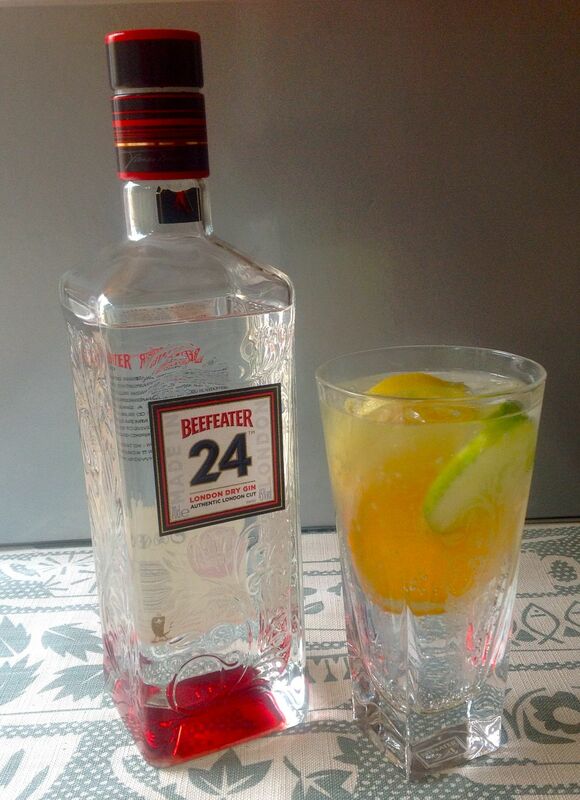 Beefeater 24 is steeped in 12 exotic botannicals for 24 hours and then distilled. How’s this for an exotic list: Japanese Sencha tea, Chinese green tea, Seville orange peel, grapefruit peel, lemon peel, juniper, coriander seed, liquorice, angelica root, angelica seed, almond, orris root. It’s a wonderfully aromatic gin that goes perfectly with fruit and herbs. This triple citrus gin and tonic is wonderfully zesty and flavoursome. 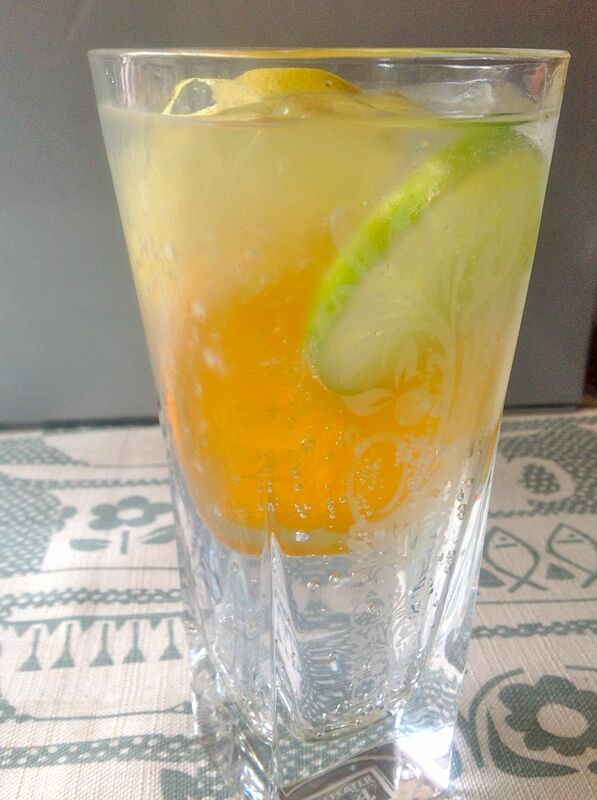 Pour your usual g&t and then add a generous slice each of lemon, lime and orange. It’s lip-smackingly delicious. And now for something completely different. I’m aware that cucumber and gin work well together so came up with this perfect summer combination of cucumber and mint mixed with some apple and elderflower juice and a dash of soda water. 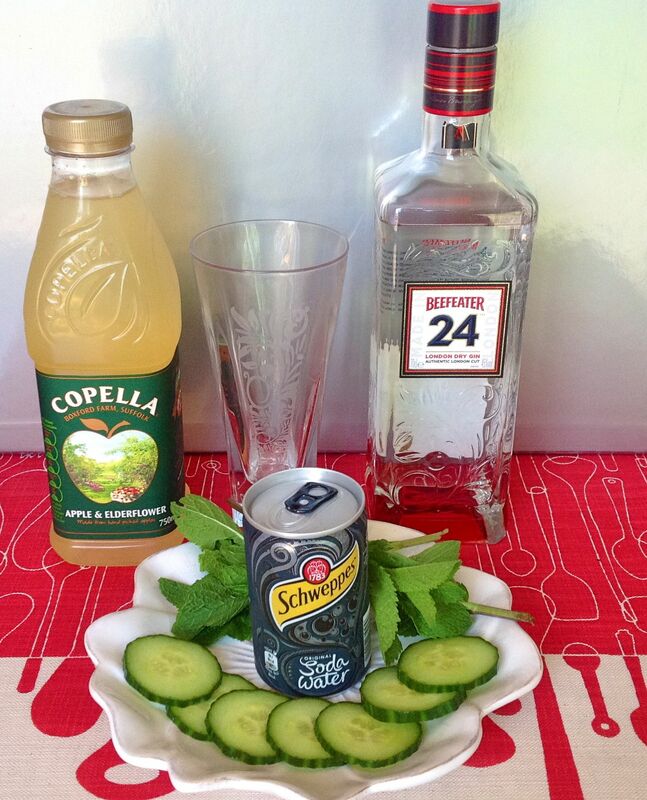 Add as much cucumber and mint as you like, it’s delicious to eat out of the drink once you’ve let it flavour your gin. I pour a tot of gin and then mix equal parts of apple and elderflower juice with the soda water. 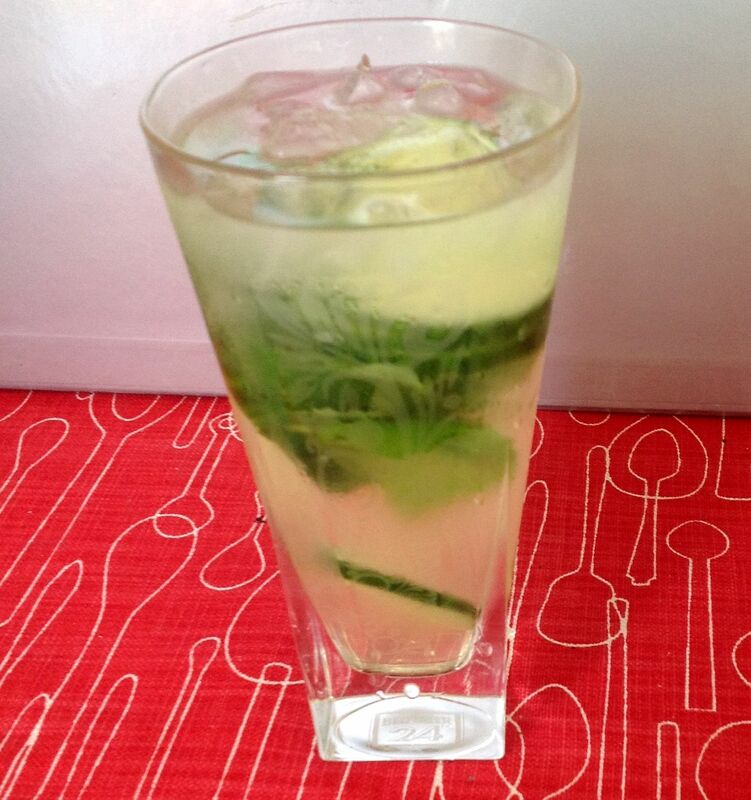 So it’s fizzy, minty and refreshing…a real treat. Do give them a try, I know you’ll love them. Anyone got their own favourite gin cocktail recipes? I’d love to hear about them. I’m concocting something with berries next!